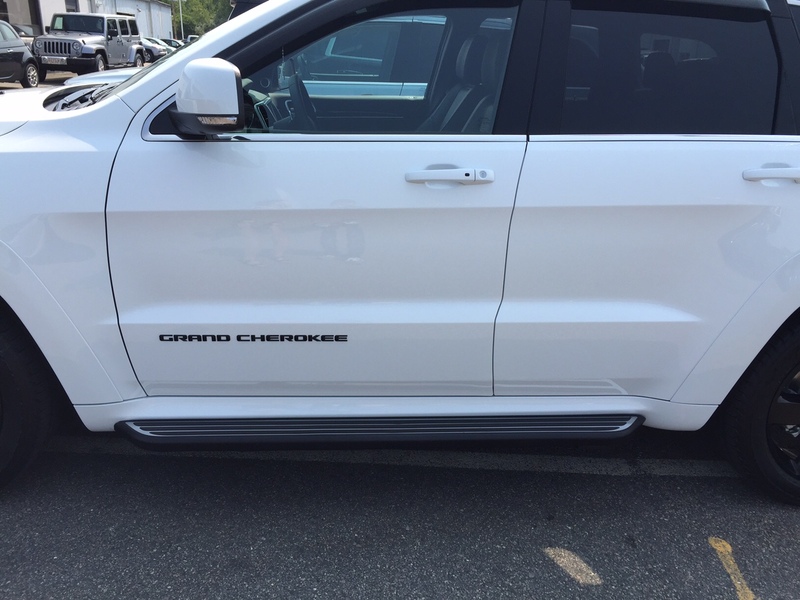 Add both style and functionality to your Jeep Grand Cherokee with these running boards that provide a side step for your Jeep. These step-up boards are black with chrome accents. They have a skid-resistant surface that is backed by a sturdy metal structure and they come with all the hardware needed for installation. 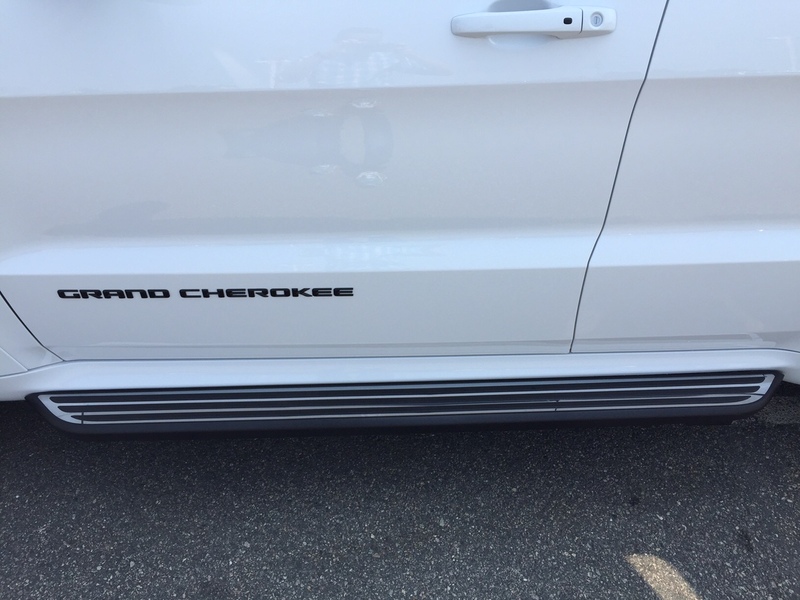 Give your Grand Cherokee a more finished appearance and make it easier for passengers to climb in with this set of running board side steps from JustforJeeps.com. Will not fit SRT8, 2014-2018 Summit or 2015-2018 High Altitude models. 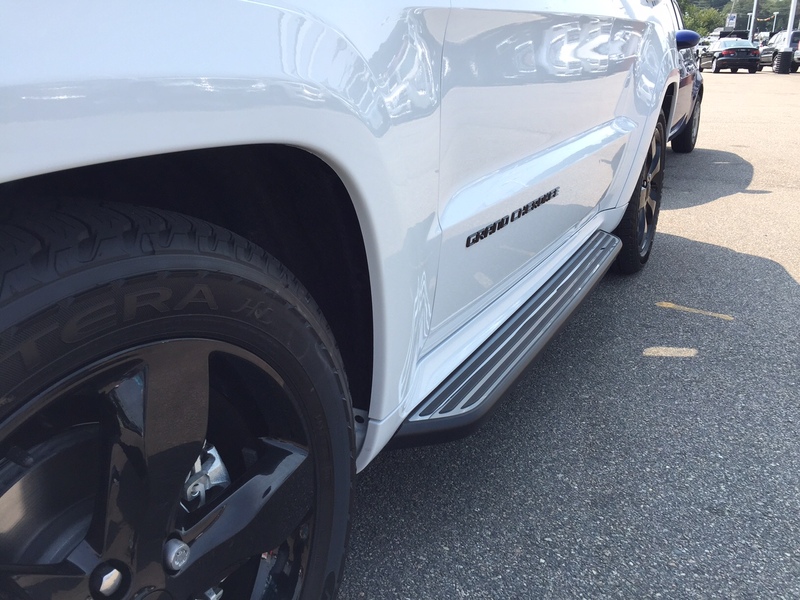 Running boards may not fit flush against the body of the 2017-2018 Grand Cherokee models. The items don't fit my 2017 Jeep Grand Cherokee. There is a gap between the vehicle and the steps. I called the head guy at the Just for Jeeps number and he agreed that they don't fit like in the picture shown. It is very disappointing to get something that cost this much and not get what you want, especially when the picture shows exactly what I wanted. I ordered the running boards and they came within 2 days. Super fast!!! They were not very hard to install if you are some what mechanically inclined. One thing I did figure out to make the job easier, was too use duck tape to hold the wedge and bolt to the frame so they wouldn't move around on you while trying to put the brackets in place. I tape them from the bottom on both sides of the bolt to the frame. They look great and really compliment the look of my jeep! Good luck! ProsLook great and very stylish! I was very pleased with the responsiveness of the folks at "Just for Jeeps". The product arrived earlier than expected, in fine shape, and complete. In installing the Steps, pay very close attention to the detail provided in the instructions. I did the passenger side in a little over two hours. I did the drivers side in less than 45 minutes. On the passenger side be sure to remove the plastic cable/tubing cover that runs parallel to the pinch weld flange. Otherwise, you cannot get the "Item I" brackets (3 each) into their associated holes. ConsThere are 2 (one on each side of the car) that I could not get the 10mm socket on as there is a piece of the side molding that is in the way. I had to tighten them with an open end wrench and thus could not torque them to spec. Just For Jeeps shipped this right away. Very happy with their service. The part itself is pretty difficult to install though. I had a trusted mechanic do the work. He estimated it would take less than an hour. It ended up taking him 3 hours. Once installed, they look great. Very sturdy. Kids can get in and out of the Grand Cherokee easily now.